Blakeborough wrote how knitted garters were once popular gifts, and often wanted “to work charms and spells with”. He said knitted garters were about an inch wide and a yard long. This is a nice example of how knitting and folklore intertwine. In 1847, at a murder trial, Ellen Beresford described what her sweetheart, George Collis, had been wearing when she last saw him. Amongst the articles of clothing, she mentions “…a white knitted garter, and one with a red sort of binding”. Maybe the red was some kind of love token? Knitted garters were regarded as the nursery slopes of knitting and often the very first thing a child made, when they learned to knit, so had fond associations with learning at a parent, or grandparent’s knee… In an interview in the 1980s, elderly Dent knitter Clara Sedgwick remarked that she had learrned to knit before she went to school and when she had mastered knitting garters on two needles, she graduated to stocking knitting on four. Clara’s interviewers looked at Clara’s knitting stick. We noticed how light were the sticks…and Mrs Sedgwick said that cherry wood was a favourite material with the carvers, many of whom presented their sweethearts with a stick on the day of their betrothal. Many ornate sticks were love tokens – tokens of romantic love carved by a suitor but also sometimes, a sign of filial love; a special gift from father to daughter. There are often hearts or heart motifs on knitting sticks – some crudely carved; some, exquisite. 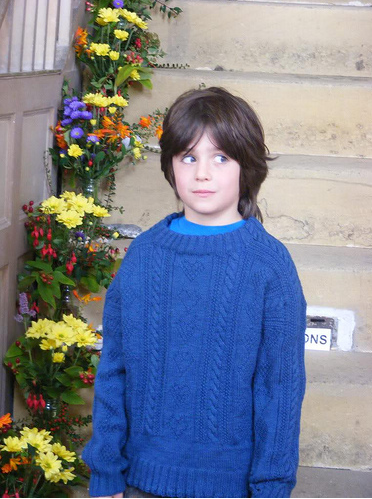 The hearts motif is also a popular one on many Yorkshire ganseys. It can be found in Fair Isle knitting, as well. Again, it may have been seen as a sort of protective charm to keep a loved one safe, or remind them they were loved! Earlier this year we were in the West Riding, up in Heptonstall. Because the old church was abandoned, left standing as a ruin with its gravestones all round it, and a new one built – there are a remarkable number of 18thC gravestones surviving intact. The folk art on some of them was remarkably reminiscent of the carvings on some knitting sticks. 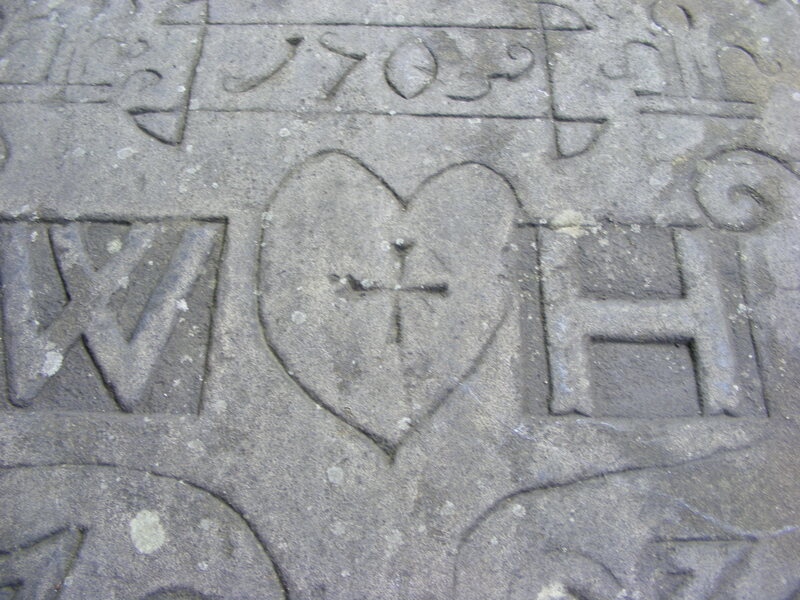 The heart and cross combined on the Heptonstall gravestone pictured above, also occur in the knitting stick pictured, from Hull. 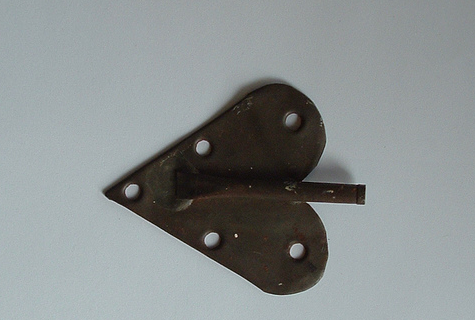 Brass or tin heart shaped knitting sticks were universal across England, too. Most Yorkshire museums have one or more. There is a notable tin heart at the Bronte Parsonage Museum which may have come all the way up from Cornwall, with Mrs Bronte.